There is a camera in almost every device we own, you take pictures every day and everywhere. How sad that some of your best photos get lost on your computer or phone or other device and you never see them again. 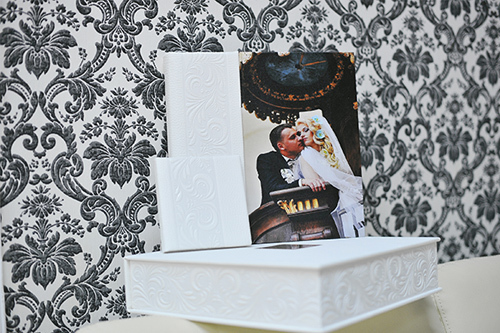 But if you can print them and place them in albums yourself and what would be better than having an album which is not a traditional album, but your very own custom book or a magazine like album, which is commonly known as Photo Book. With the help of our professional graphic designers, you could make your photos look professional and add an artistic touch to every image as well as design a unique layout for your album page. There are some software available online to help you do it yourself. 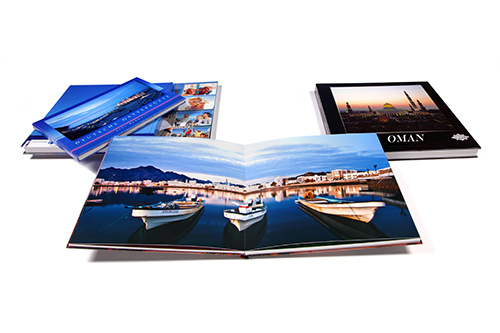 Photocentre is one of the biggest producer of Photo Books in Oman & we care the most about the quality of printing as well as binding. Photocentre is probably the only company in Oman that uses a fully automatic machine from Switzerland that creases the prints, folds them, applies glue & binds the album within minutes. We can make custom covers whether hard or soft covers, we have pioneered the hard cover in Canvas Material. Besides this, we also have a variety of Ready-made covers, which are very beautiful, & often comes with a brief case. These covers are mainly sourced from Turkey. This is could be a very impressive way of presentation for your Official events, Company Portfolio, etc. This machine that we use is built by Imaging Solutions AG Switzerland. Watch the manufacturer’s video.